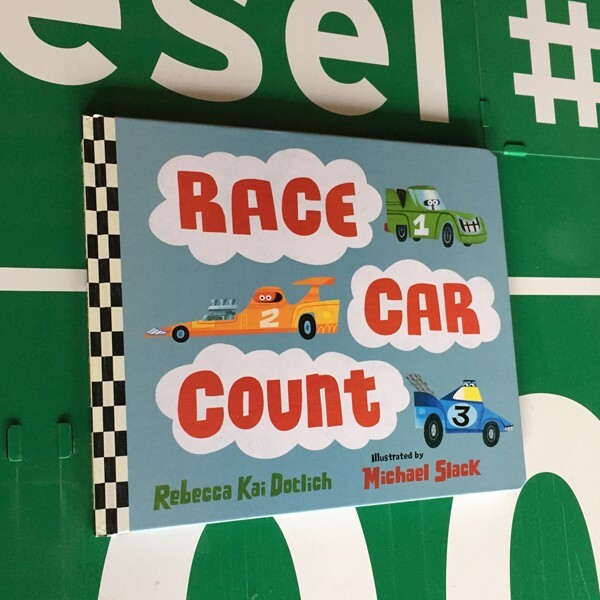 Race Car Count by Rebecca Kai Dotlich with illustrations by Michael Slack has just been released. The simple, rhyming text is perfect for reinforcing counting with young children, and the vibrant, energetic illustrations make this a terrific package for the youngest vehicle enthusiasts. There is also a free downloadable companion board game and activity kit. Published by Henry Holt Books for Young Readers.